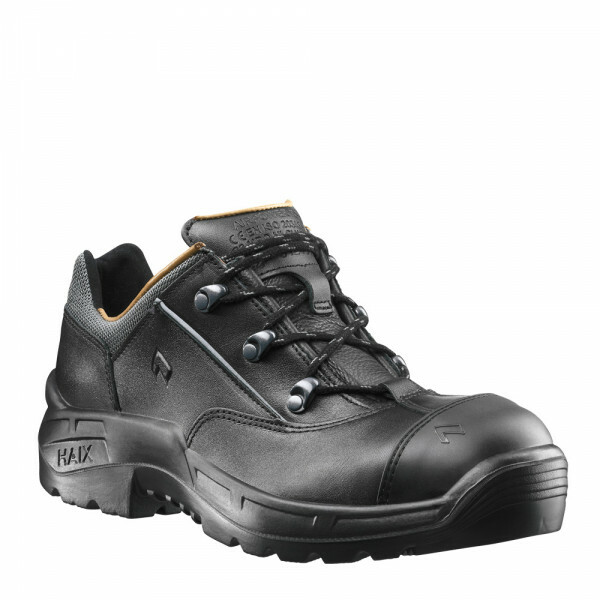 Product information "HAIX Airpower R22 Low"
The Airpower R22 Low is a safety shoe which offers important health and safety at work benefits to tradesmen and motor vehicle mechanics. It fulfils the requirements of Safety Class S3. These include a puncture-resistant sole. Any sharp objects such as nails which you may tread on in the course of your work will not be able to penetrate. A steel toe cap integrated into the tip of the Airpower R22 Low will also prevent any injury from falling objects such as wooden boards, pipes or tools. The high quality leather used in the manufacture of the shoe has been hydrophobised to prevent any ingress of water or other liquids. It may well be that your job entails spending long hours on your feet in the workshop. The Airpower R22 Low helps prevent the emergence of any pain to the joints or any problems with backache after a strenuous day. An impact-absorbing PU wedge in the sole cushions your steps as you go. 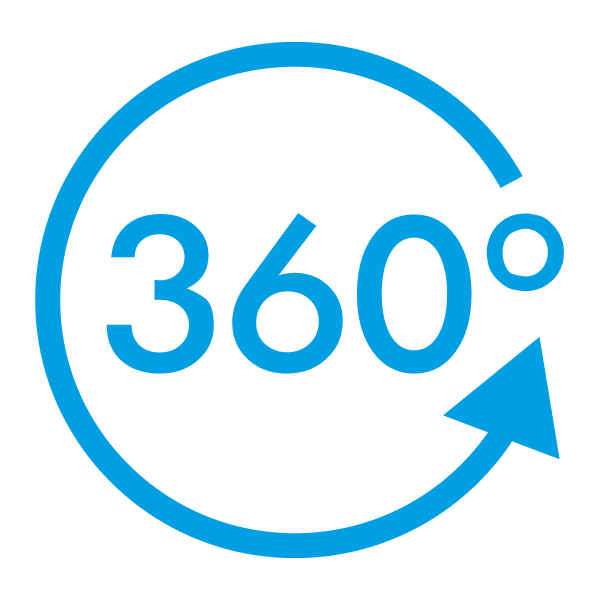 This provides a sensation of walking over cotton wool and places far less pressure on your spine than would be the case with footwear which does not contain this plastic layer. The Airpower R22 Low also promotes a healthy foot position. It tapers to a narrower form in the ankle area to provide greater support. At the same time, the toes and balls of the feet are afforded plenty of room at the front of the shoe. The hydrophobised leather used in the manufacture of the HAIX Airpower R22 Low means that no drops of water can penetrate. This keeps your feet dry when conditions outside are wet. At the same time, this is a shoe which is equally suited to indoor wear or to warm days out of doors. A fast-drying anatomically formed inlay in the footbed immediately absorbs moisture and may be removed and washed if required. 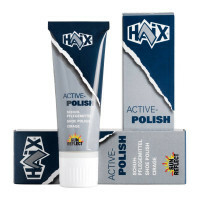 Special pigments prevent any overheating caused by the sun’s rays. Your feet will not sweat, even at the height of summer. The HAIX Airpower R22 Low is manufactured in genuine and highly robust bull leather. This highly water-repellent material has also been treated chemically to make it impermeable. The patented HAIX Sun Reflect System prevents any unnecessary overheating, whilst special pigments in the upper leather reflect the sun’s rays. The Airpower R22 Low has rubber reinforcement at the tip to combat wear and tear to the leather in this particular area. A classical lacing system enables the shoe to be fitted to the right size in a rapid and straightforward manner. The Airpower R22 Low features a particularly soft leather inner lining to keep your feet feeling comfortable throughout the entire day. A fast-drying anatomically formed inlay absorbs moisture immediately and can also be washed and replaced if needed. 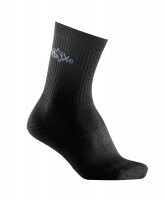 An additional Texon insole also helps to absorb any residual sweat. The tip of the shoe has a protective steel toe cap to prevent any injuries that may potentially be caused by falling objects. An impact-absorbing PU wedge cushions your steps and thus reduces pressure on the back and joints. With a deep tread. This provides absolute slip resistance and guarantees you a firm grip on any surface. The sole also gives outstanding insulation against the heat and cold as well as being colour fast. This latter property means that your shoes will not leave any dark marks on light-coloured floors. Oil and petrol are unable to penetrate the sole of the HAIX Airpower R22 Low. The sole is also puncture resistant to protect you against nails or any other sharp objects that may be lurking underfoot. The HAIX Airpower R22 Low is the perfect work shoe for tradesmen, car mechanics and carpenters. It will protect you from the wet weather, sharp articles and falling tools whilst still letting your feet “breathe” and providing a high degree of comfort of wear all day long. Try out these extremely robust shoes now!